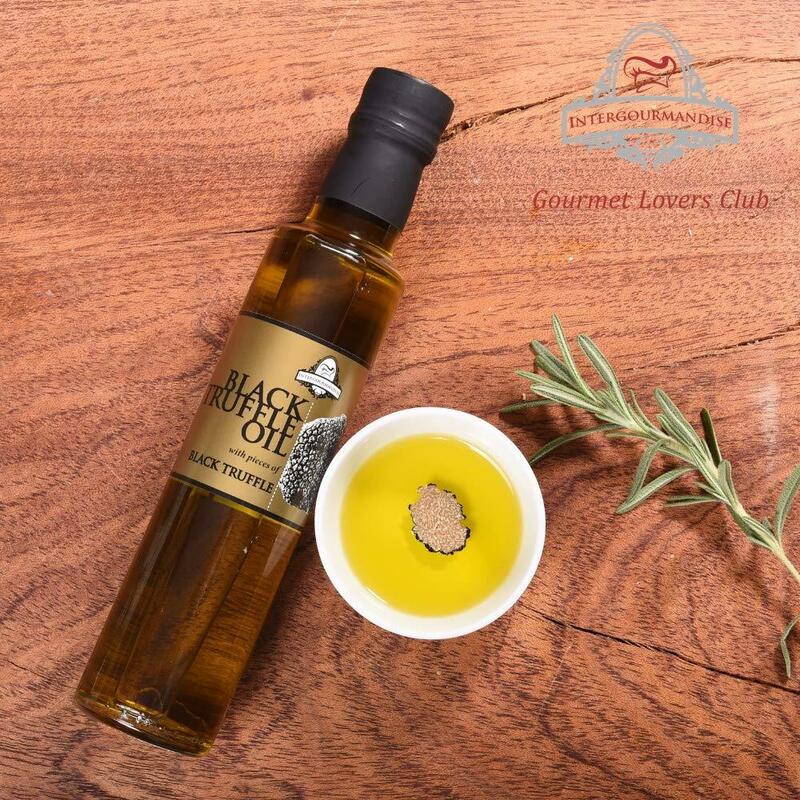 Intergourmandise own recipe produced in Greece with the finest Greek extra virgin olive oil mixed with Italian Black truffles (tuber aestivum) flavors, this oil demonstrates complex earthy truffle aroma with intense Black Truffle flavors and a piece of dry truffle inside. Ingredients: 99% Greek extra virgin olive oil, 1% black truffle piece and aroma. How to use: Perfect for use on fresh salads, pasta, risotto, eggs, meat and seafood. Black truffle oil should be added when a dish is already cooked. When heated, the truffle's delicate aromas may be lost partly. Storage instructions: Store in cool dry place. Seal cap tight after opening, perfect to use for 90 days.